ALL TERMS NOT DEFINED BELOW SHALL HAVE THE MEANINGS ASSIGNED TO THEM IN THE TERMS OF SERVICE. ANY TERMS NOT SO DEFINED SHALL BE GIVEN THEIR ORDINARY MEANING TAKING INTO CONSIDERATION THE CONTEXT IN WHICH THEY ARE USED. SavvyPCI will use information collected when you visit or use this website. In using this website you agree that we are your limited agent for purposes of using third party websites and information to fulfill your PCI Search and Service requests, and therefore you are bound by those third party terms and privacy policies – so check them out. Read our Terms for the details. We collect information from you directly and automatically like IP addresses and cookies. We can use this information to track your activities in email and on our services. We collect information from you in two ways: directly from your input and automatically through the Service’s technologies. If you provide to SavvyPCI any personally identifiable information, including personally identifiable information relating to others, you represent and warrant that (i) you have complied with, and will continue to comply with, all applicable laws relating to the collection, use and disclosure of personally identifiable information, and (ii) you have made all required notifications and obtained all required consents and authorizations from such persons relating to the disclosure of personally identifiable information to a third party service provider. SavvyPCI may use and disclose automatically collected information for any purpose, except where we are restricted by applicable law. If we combine any automatically collected information with personal information, the combined information will be treated by us as personal information. SavvyPCI may also use aggregated information for any purpose, however, this information does not identify specific individuals and so is not personal information. SavvyPCI and its service providers use these technologies for various purposes, including: facilitating the login process, administering, customizing and improving the Service, personalizing the browsing experience; advertising, promotions and surveys, reporting and paying royalties and license fees to third-party providers, such as authors, societies and other copyright holders and content distributors as well as tracking and analyzing user preferences and trends. We use personally identifiable information to deliver and analyze services and offers. and to comply with our legal obligations, resolve disputes, and enforce our agreements. SavvyPCI may on occasion also match or combine the personal information that you provide with information that we obtain from other sources or that is already in our records, whether collected online or offline or by predecessor or affiliated group companies, for the purposes described above. We may share your personal information to conduct business and deliver service in coordination with third-parties. Agents, Representatives, Sponsors and Business Partners. Your personal information may be accessible to our agents, representatives, sponsors and entities for which we are acting as an agent, licensee, joint venturer or publisher. Service Providers. Your personal information may be accessible to our service providers and suppliers, which assist us with producing and delivering our products and services, operating our business, and marketing, promotion and communications. Other Third Parties: We may share personal Information with other third parties if we expressly told you about such potential disclosure at the point at which you submitted the personal information to us. Compliance with Law and Similar Obligations. We may share personal information in order to: (i) respond to or comply with any law, regulation, subpoena or court order; (ii) investigate and help prevent security threats, fraud or other malicious activity; (iii) enforce and protect the rights and properties of SavvyPCI or its affiliates; or (iv) protect the rights or personal safety of our employees and third parties on or using our property. Change in Corporate Circumstances. If SavvyPCI, the Service or a related asset or line of business is acquired by, transferred to or merged with another company, your personal information may be disclosed to the prospective or actual purchasers. The Service also may provide access to social media features, message boards, chat, forums, blogs, profile pages and other services to which you are able to post personal information and materials. Any information you post or disclose through these services is public. Please be careful when disclosing personal information in these public areas. You can manage communication preferences in your account and by using unsubscribe in communications you receive. You can request to review or correct your personal or registration data. We will make reasonable efforts to verify your identity beforehand. We take many reasonable actions to keep your information confidential and secure. We treat you and your information like we want to be treated. SavvyPCI uses a variety of data security measures intended to ensure the confidentiality and integrity of your personal information. These include administrative, technical, and physical security measures. These measures include computer safeguards, secured files, and secured facilities. We take reasonable steps to securely destroy or permanently de-identify personal information when we no longer need it. We will keep your online information only as long as we must to deliver our services, unless we are required to keep it for a longer period by law. Your personal information may be transferred for processing to countries outside of your country of residence. Your personal information may be transferred for processing to countries outside of your country of residence. By using theWebsite or Service you consent to the transfer of information to countries outside of your country of residence. This is important for you to understand because the country where your information is transferred may have different personal data protection rules than in your country. If you do not want your personal identifiable information to be transferred in this manner, please do not provide it to us. 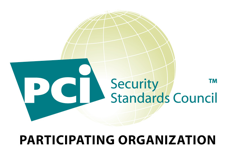 the transfer of protected information is necessary to protect your vital interests because it furthers your ability to stay secure and increases the likelihood of avoiding data breaches by facilitating PCI compliance. For support, please click the blue circle in the bottom right of the page. If you do not see the circle, please adjust your adblocker settings or email us at [email protected]. For general info contact us at [email protected].